On RTÉ’s Six One News. 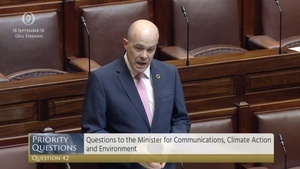 Journalist Paul Cunningham interviewed former Minister for Communications Denis Naughten about Peter Smyth’s report into the National Broadband Plan procurement process and Mr Naughten’s engagements with David McCourt. 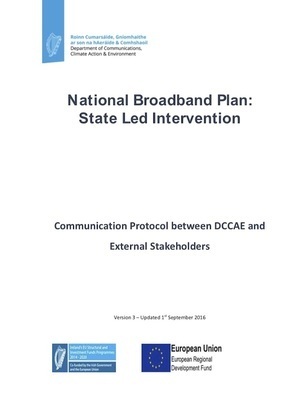 Posted in Misc and tagged Denis Naughten, National Broadband Plan, RTE News at 11:06 am on November 30, 2018 by Bodger. Will people just lay off poor Denis Naughten. 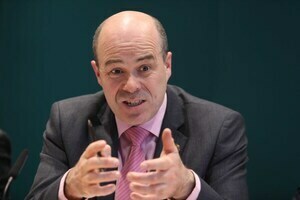 Not only did Denis Naughten say he did nothing wrong when he was forced to resign last month by the Taoiseach, but the “independent” “auditor” Peter Smyth clearly states that Denis Naughten told him (Peter Smyth) that he (Denis Naughten) did nothing wrong and that is 100% reflected in the “independent” investigation and report published this week. And to cap it all, Denis Naughten has now told the national broadcaster, the apex of Irish media, that he did nothing wrong. 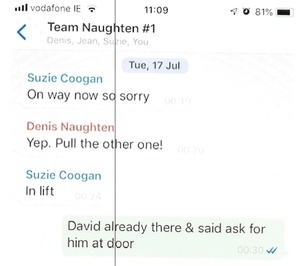 So, can we all stop insinuating Denis Naughten did anything wrong, because he has told us on so many occasions now, and on so many platforms, that he has done nothing wrong. 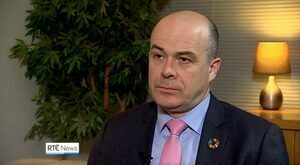 Is Naughten of substandard intelligence? I only held meetings with the sole bidder “to keep them at the table”. I am struggling with the claims the meetings were to keep the *sole* bidder on board. According to the “independent” report this week, 16 September 2017 was when Denis Naughten had dinner with David McCourt and minister Pat Breen at the home of David McCourt in county Clare. This was four months before Eir withdrew from the bidding on 31 January 2018. Denis Naughten also had a “coffee meeting” with David McCourt on 31 January 2018, the same day that Eir withdrew. So, the narrative from Denis Naughten “I only met David McCourt so as to keep the sole bidder onboard” is just wrong. Except, McCourt was not the sole bidder when these meetings started. And the make-up of this bidder was substantially changed membership-wise after the bidding process. The emergence of Actavo (formerly Siteserv, formerly ‘selvserv) owned by a failing business in the communications arena, to partake of the Three Thousand (€300,000,000) Million giveaway is pretty disgusting.